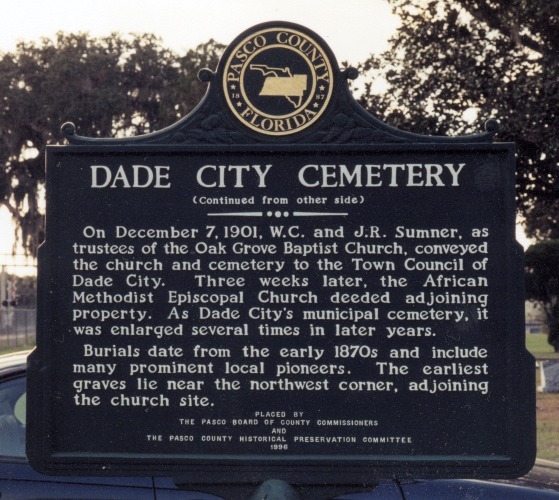 DADE CITY CEMETERY HISTORICAL MARKER. This marker is located immediately inside the cemetery's main entrance, on the right hand side (east side) of the main entrance driveway. 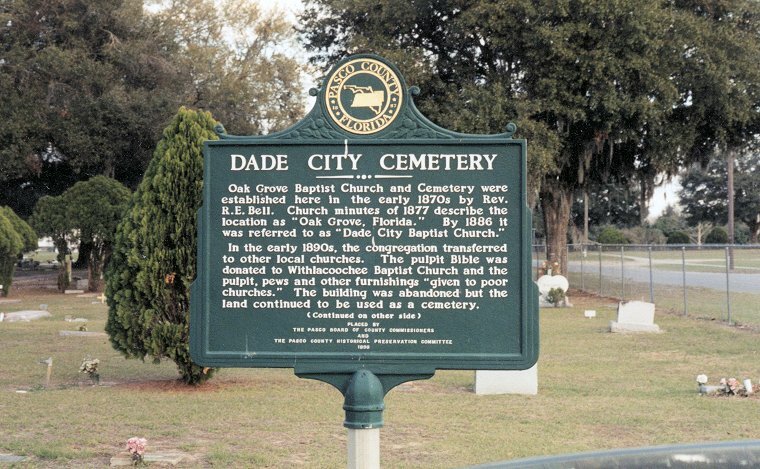 The cemetery lies north of MLK Blvd., and east of the US 98/301 Bypass (Truck route) and the CSX Transportation railroad tracks which parallel the Bypass at that point.